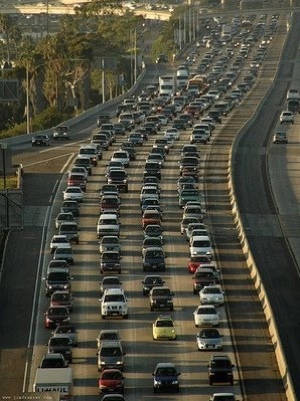 How much time do YOU spend in traffic every day? Now, we know that nobody actually enjoys the daily commute. What with congestion; impatient drivers; clutch-foot cramp; pushy taxis; robots out of order; pollution – what is there really to enjoy? But with public transport insufficient, unsafe and unreliable, what other choice do you have? We’ll tell you: The Lifestyle Shuttle. Imagine a world where you actually look forward to your ride into work, where you arrive relaxed and ready for a productive day. Or one where you get to relax as soon as you finish your day at the office, instead of having to deal with more frustration while you try and negotiate your way home in snails-pace traffic. That world is now here. We offer a service that gets to you to and from work in luxury, where you can sit back and let our experienced, professional drivers worry about the traffic. You can catch up on some work, read the paper, listen to music, or just have a nap, secure in the knowledge we’ll get you there safely. Check out our Shuttle page, where you’ll see all the benefits that come with the package, and our Pricing breakdown, where you’ll be pleasantly surprised as to the affordability of it all. So come on in, and we promise to turn your daily commute into a pleasure.